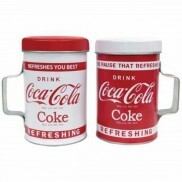 From shabby elegance to modern design, accent pieces provide unique style to any home. 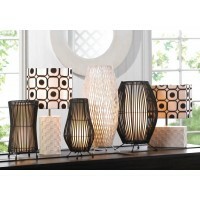 Function meets form, these decor items are both useful and attractive. 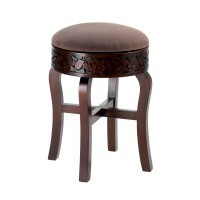 This luxurious and comfortable Carved Round Foot Stool features dark wood with an intr.. 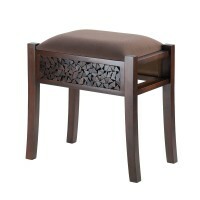 There's a lot of luxury packed into this vanity stool! 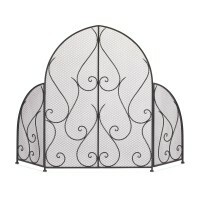 The beautiful and intricate carving on the..
A fireplace screen that is as beautiful as the flames it guards! 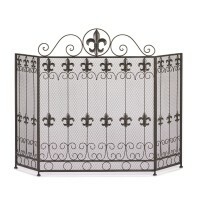 This metal screen features a dra..
A touch of French form will add a dash of style to your fireplace. 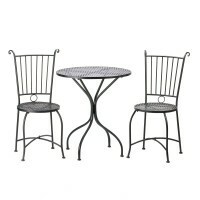 This beautiful iron screen fea..
Dine in style with this lovely patio set! 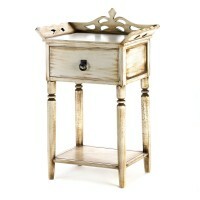 Enjoy breakfast lounging in the morning sun or afternoo..
It’s a side table with exotic flair! 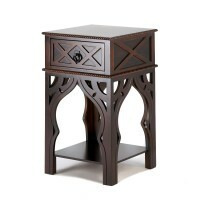 The Moroccan style table’s intricate details will certainly .. 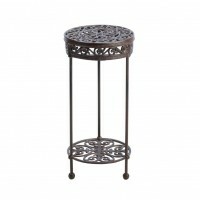 If you’re looking for a unique side table that’s equally charming, you’ve found it! 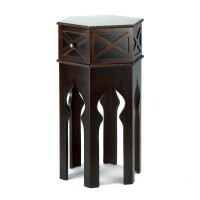 This artistic..
Gorgeous design with exotic flair, this accent table is the ultimate in chic global style. The ta..
A sweet treat for any room, this corner baker shelf will display your plants, collectibles and mo..
Dare we say this is cutest bench in existence? We do! 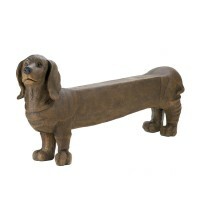 This Dachshund Doggy Bench is adorable from.. 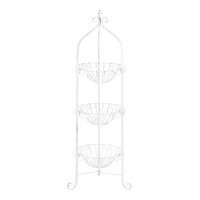 This corner basket stand is proof that romantic and charming room additions can be functional! 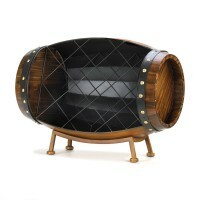 Th..
A barrel’s worth of good times and great wine will await you when you bring this wine rack home. .. 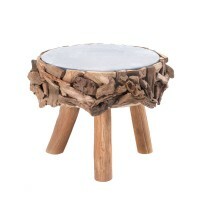 Step up the style in any room with this unique stool. 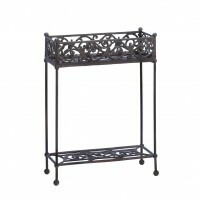 Use it as a seat, a foot rest, or to gain a..
Lovely flourishes set in cast iron will display your favorite potted plant in style. The round to.. 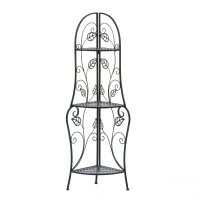 Display your favorite potted plants in this gorgeously detailed cast iron stand. The rectangular ..